The word Tadasana is derived from the Sanskrit word tada which means palm tree. It is the combination of words tada and asana. This asana is the base asana for all the standing asanas. Tadasana is the ideal asana for beginners and helps in the development of concentration power. Stand straight with feet together and arms hang by your side. Weight of your body should evenly be distributed on both your feet. Both feet should be well grounded. Breathing should be normal and rhythmic. Now lift all the toes spreading them apart but holding steadily on the ground. Later place back the toes to the ground and should press all the four corners of your feet evenly to the ground. Keep the thigh muscles firm and lift the kneecaps without hurting the muscles of your inner organs . Push up the inner ankles to strengthen the arches. Now turn the upper thigh slightly inward to widen the sit bones. Gradually lengthen the tail bones so that it comes exactly between the sit bones. Bring the pelvis into the normal position. Let not the front hip bones to point up or down rather let it face forward. 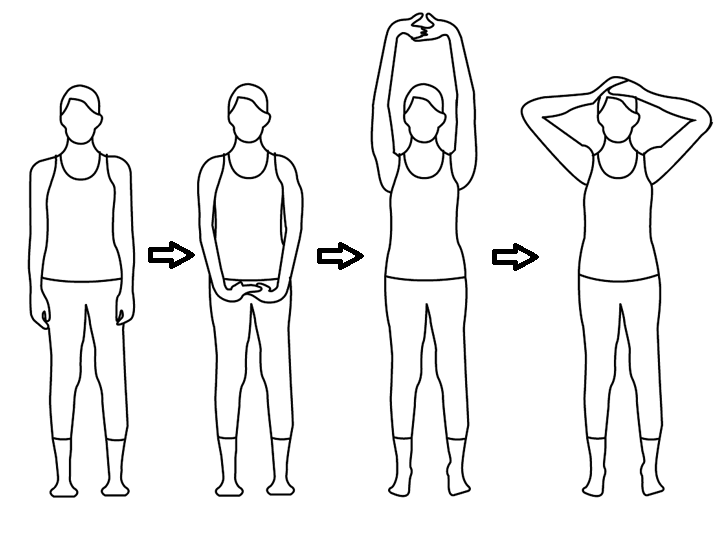 Inhale while elongating the torso, exhale while releasing the shoulder blades away from the head. An energy can be felt all along the inner thighs to groin from there to torso, neck up till the head. Keep the arms straight above with neck elongated and facing the roof. Shoulder should be parallel to the pelvis. Be in his position for 30seconds by breathing rhythmically deep and easy. Relax to the normal position, and repeat the procedure again. Strengthens the thigh muscles, knees, buttocks, ankles and abdomen. Helps in maintaining the body posture and also helps in the flexibility in hip joints along with spine. This asana helps in the major systems of our body like respiratory, nervous and digestive system. Removes dullness and depression from mind and makes one feel fresh. Reduces the problem of flat feet. Improves blood circulation. Pregnant women should consult doctor before doing this asana. Excess stretch may cause knee pain or injury.